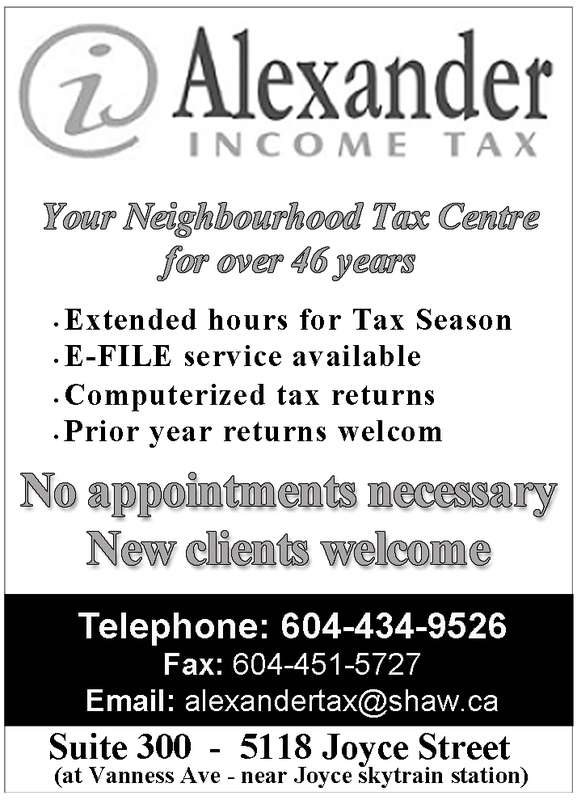 Seniors and income tax filing in B.C. Collingwood Neighbourhood House is once again offering its income tax service for low-income households. Filing income tax is important for everyone in B.C. However, it can be challenging for some groups, including seniors. Why is it important for seniors to file income tax? By filing income tax, seniors are more likely to get the tax credits and benefits they are entitled to, such as Goods and Services Tax (GST) credits and the Guaranteed Income Supplement. If they do not file income tax, these tax credits and benefits will be cut. To many seniors, these tax credits and benefits are survival income. Seniors rely on their limited income to pay for daily necessities, such as rent and food, to survive. These basic necessities are important for seniors to maintain their physical, mental and socio-emotional health. What are the challenges for seniors to file income tax? According to my own experience working with seniors, many do not know how to file income tax. The Canada Revenue Agency encourages income tax filing by computer. However, many seniors have limited or no knowledge of the computer. While income tax can also be filed by paper, many find the form booklet complicated or cannot fill it in because of different reasons. For example, they have poor vision and can’t read the form, or their hands shake when writing so they can’t fill in the form. They may turn to family and friends for help, but many do not have this option for support. They may consider paying for an income tax filing service, but many find the service is too expensive. Seniors and other people who have a modest income and a simple tax situation can consider filing their income tax with the help of the Community Volunteer Income Tax Program (CVITP), which is supported by the Canada Revenue Agency (CRA). Through this program, community organizations across Canada help you fill out and file income tax for free. Some organizations provide the service year-round, but most only during the income tax filing seasons in March and April. The service is provided by volunteers who are either trained or have related education already, like accountants. What are the challenges for seniors to access the CVITP? It can still be challenging for some seniors to access the Community Volunteer Income Tax Program. First, in many community organizations, there are more clients than volunteers can serve. The resulting long waits can challenge some seniors, who may feel fatigued. It’s a good idea to provide tea, coffee, water and cookies to seniors while waiting. Second, because many seniors can’t travel to the income tax clinics, community organizations often provide outreach services. However, not many organizations have the volunteer resources to provide such outreach. Third, many immigrant seniors do not speak Canada’s official languages, English and French. Community organizations may have volunteers who can provide interpretation services but not many have the language resources. Community organizations and the Canada Revenue Agency should continue to consider ways to improve the program. To find a Community Volunteer Income Tax Program, visit the CRA website http://www.cra-arc.gc.ca/tx/ndvdls/vlntr/clncs/vancouver-bc-eng.html. Karen Lok Yi Wong is a social worker in B.C. working with seniors. She was the program coordinator at 411 Seniors Centre Society http://411seniors.bc.ca and lead the centre’s Community Volunteer Income Tax Program in 2017. That year, the program served more than 1,700 clients. Categories: Health & Wellness | Tags: Community Volunteer Income Tax Program, seniors income tax | Permalink. Even on a dark and rainy Vancouver day, the bright and festive atmosphere of Boteca Brasil will transport you to someplace warm and cozy. And if you are thinking of where to take your sweetie this upcoming Valentine ’s Day, Boteco Brasil will fit that romantic bill. In Brazil, a “boteco” is place where you go for delicious food, lots of drinks, good music and hang out with friends. Boteco Brasil is where you can do just that – just what the RC area needs! On some nights your dinner at Boteco will be accompanied with live music . You will enjoy some classics of the “música popular Brasileira” (well known as MPB), bossa nova, pop, pagode, samba and many classics of Brazilian music. Yes, it was a rainy Sunday afternoon when my accomplice and I made this visit to Boteco. No live music at this time, but there was music and as mentioned, our spirits were uplifted, not only by the atmosphere, but by the friendly staff. I’ll add here too, during the sunnier months, one can sit outside on Boteco’s large patio – sweet as well. Probably Renfrew-Collingwood’s best patio. Back inside, we ordered some drinks. There are lots of fine ones to choose from: a variety of bottled beer, draft beer, wines and some cool-sounding cocktails. There is Cachaçam a Brazilian distilled spirit made from sugar cane. Also Caipirinha, Brazil’s national cocktail, made with cachaça, sugar and lime. So what did we two wild and crazy kids order? It was an orange juice for her and a Brazilian roasted coffee for me. The Bobo de Camarao is made of seasoned shrimps on a creamy stew made with red palm oil, cassava, coconut milk, celery and bell peppers. For the food, the accomplice ordered the Bobo de Camarao ($17): seasoned shrimps on a creamy stew made with red palm oil, cassava, coconut milk, celery and bell peppers. I was drawn to the Feijoada ($16): authentic Brazilian style black beans and pork stew served with basmati rice, sautéed kale, farofa, vinaigrette salsa and a slice of orange. We also ordered an appetizer of Coxinhas ($9) which are crispy potato-based dough pockets stuffed with shredded chicken and spices. The Coxinhas arrived, along with a garlic infused sauce, and mmm, no wonder these are described as Brazil’s favourite snack – really nice and tasty. The Bobo de Camarao, which my accomplice was sweet enough to allow me to try, was equally impressive. The coconut taste of the sauce reminded me of some Thai dishes I have eaten. My Feijoada was also good. As with everything else, you could tell that it had been prepared with love and all fresh ingredients. I wasn’t exactly sure how to go about arranging it all. Our very pleasant host explained that the farofa, which I would later learn is a toasted cassava flour mixture used on barbacued meat and hearty stews, can be sprinkled on top. So basically, you can mix it all together, and boy, and girl, was it good – very nice and filling. I barely had room to finish off the accomplice’s Bobo de Camarao. Now, it would be time for dessert, but as you now know – we were too full for dessert, BUT, there were some nice-sounding ones: Bolo Prestigio ($6) a rich Brazilian chocolate and coconut cake with “beijino filling and brigadeiro” topping. Also, Pudim De Leite Moca ($6) A rich and creamy flan topped with caramel sauce. So there we have it – Boteco Brasil would be a good choice to take your sweetie, on Valentine’s, or any time, lunch or dinner. Until next time food fans – bon appetite. Categories: Eating Out | Tags: Brazilian food, Brazilian restaurant East Vancouver | Permalink. Happy Chinese new year! There is much to celebrate: Renfrew-Collingwood Community News will be 20 years old in 2019 and we will commemorate this milestone by revisiting some of the memorable community submissions over the years. The deadline for the March 2018 issue is February 10. We welcome story submissions from 300 to 400 words long. Accompanying photos must be high resolution in a jpg file at least 1 MB large and include a photo caption and the name of the photographer. 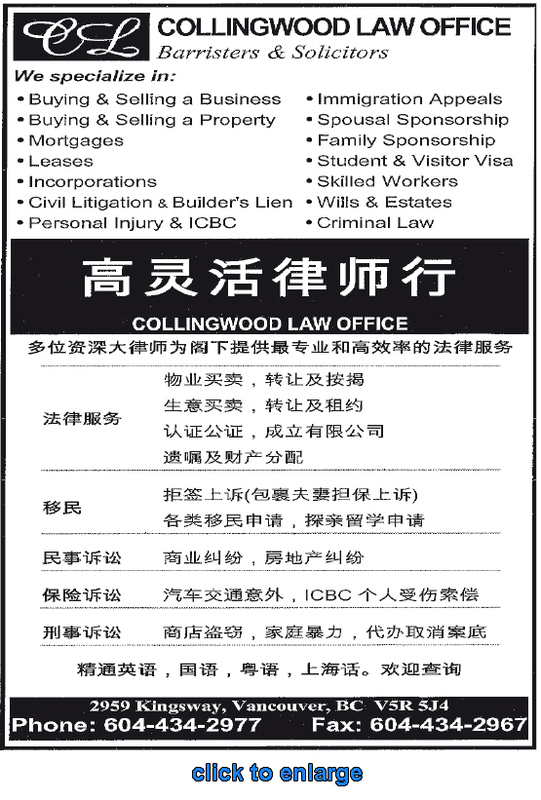 Categories: Past Issues | Tags: 4410 Kaslo, Collingwood Corner, INTERactive, RCC News 20 years, seniors income tax, temporary modular housing | Permalink.